If you've been hurt in a car accident in Texas and now suffer PTSD, you have a right to compensation. PTSD is caused by an overwhelming sense of fear and hopelessness brought about by a traumatic event. When we think of car accidents we often think of bodily harm, but many accident victims suffer from mental and emotional trauma as well. Common symptoms of PTSD include frequent flashbacks to the accident, nightmares, insomnia, depression, mood swings and increased anxiety. Consequentially, suffering from PTSD can significantly impact the victim's ability to return to work or fully enjoy their life. PTSD also necessitates its own specific course of medical treatment, which usually involves specialized counseling and therapy. In addition to the heavy emotional cost of PTSD, there is also a financial cost. Victims are often unable to go on with their lives the same way they could before the accident. This might mean you're unable to work, to keep a job or to find a new job. Similarly, those who suffer PTSD often require medical treatment such as counseling, cognitive-behavioral therapy, and psychotherapy. Antidepressants and antipsychotics may prescribed in the treatment of PTSD. All of these things have a cost. In Texas, if another driver caused your PTSD, you are entitled to compensation for your treatment (meaning the other driver's insurance company has a duty to pay you for the cost of your medical bills). If you've suffered PTSD as a result of a serious accident caused by another driver, you have a right to compensation in Texas. In Texas, if another driver causes a wreck and you suffer an injury due to that wreck, you'll make a claim against their insurance. You'll provide evidence to support your side of the story and the insurance company will decide how much money you deserve in compensation. (You can learn more about how to make a car accident claim here). However, bodily injuries aren't all you're entitled to. You can also recover money for things like lost wages (money you lost if you were too hurt to work), and mental and emotional trauma. This is typically categorized under "pain and suffering." You can read more about that here. If you or a loved one has suffered Post-Traumatic Stress Disorder due to a serious accident, it is important that you discuss your situation with a local board certified personal injury attorney. Our lawyers have experience handling these kinds of cases. We offer all accident victims a free, no obligation consultation so that you can receive a fair assessment of your case and determine whether or not you should proceed with your claim and, if so, how much compensation you should expect to recover. 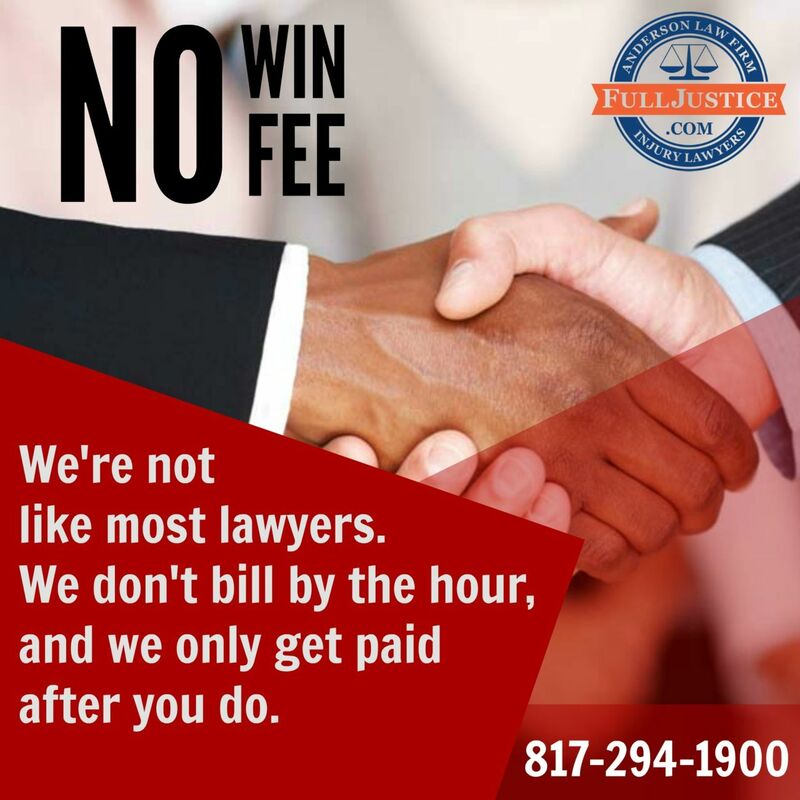 To talk with an experienced Dallas-Fort Worth Personal Injury Attorney today, please call the Anderson Law Firm at 817-294-1900 or fill out the contact sheet below.